Whether you’re prone to carting around a lot of items, or you want to head out past the Westchester County, White Plains, and New Rochelle areas for a fun road trip or vacation, nothing beats hitting the road in a spacious and stylish luxury midsize SUV like the BMW X5. If you’re currently considering your options, and this vehicle is on your list, let our team at BMW of Westchester guide you through this impressive vehicle to help you along. Continue reading to learn all about what the 2018 BMW X5 offers in terms of performance and features. This BMW X5 review will help you decide if it’s the right choice for you and your adventures. Feeling the power of the 3.0-liter BMW TwinPower Turbo 6-cylinder engine at your feet and fingertips is enough to inspire the race car driver in anybody. This engine carries some impressive abilities by delivering 300 horsepower and 295 lb-ft of torque, getting from 0-60 mph in 6.1 seconds, and achieving a top speed of 130 MPH. This engine comes mated with the 8-speed Sport Automatic transmission, which provides sport and ECO modes for varying performances. The vehicle even features the Auto Start-Stop function which helps reduce fuel consumption and emissions when the vehicle is idling. The BMW X5 interior offers a roomy and cozy cabin that’s equipped to carry you and four other passengers to your destination. You and your co-pilot get 39.8 inches of head room and 40.4 inches of leg room with black SensaTec upholstery that provides comfort and alluring style, and with the 14-way power adjustable front seats, you can easily find your comfort. The driver’s seat even features the memory system, which allows you to save your preferred seating and mirror positions in case you swap driving duties, and you don’t have to go through the hassles adjusting to your ideal comfort. Finding your way to your destination will be easy thanks to the BMW Navigation system with 3D maps that show you where to go via the 10.2-inch high-resolution touchscreen display. This system includes 20 GB storage for media files, and voice command allowing you to access your media or your preferred destination by using your voice. 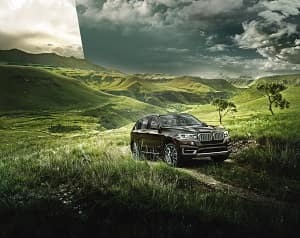 The BMW X5 features a 9-speaker Hi-Fi sound system that delivers your audio entertainment from the HD Radio™, CD/MP3 player, and any device connected to the USB port that you select through the iDrive 6.0-inch touch screen. At BMW of Westchester, we hope that our review got you excited about the 2018 BMW X5 and eager to learn even more. You can always drop in to take a closer look at this luxury midsize SUV to get a stronger sense of its style and features. But when you really want to learn more, you’ll want to hop in and take it out for a test drive, so you can really be sure that it’s the right vehicle for you. Schedule your test drive at BMW of Westchester. We’re proud to help drivers in Westchester County, White Plains, and New Rochelle make the right choice when searching for their next luxury car. This MINERAL WHITE 2018 BMW X5 xDrive50i might be just the vehicle for you. It comes with a 8 Cylinder engine. This one's available at the low price of $83,745. This one scored a crash test rating of 5 out of 5 stars. For a good-looking vehicle from the inside out, this car features a sharp mineral white exterior along with a black dakota leather interior. Don't wait until it is too late! Call today to schedule an appointment. Ray Catena BMW, a top BMW dealer in New York, is known throughout White Plains, Tarrytown, and Yonkers for our wide selection of luxurious new and pre-owned BMW vehicles and uncompromising customer service. BMW of Westchester truly has every one of your automotive needs covered. FROM NEW AND USED SALES TO PARTS AND SERVICE, BMW OF WESTCHESTER AIMS TO PROVIDE A TRULY STELLAR AUTOMOTIVE EXPERIENCE. The only question left now is how we can best serve you. 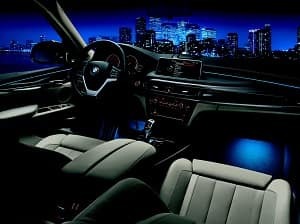 914-761-6666 - www.westchesterbmw.com.